Less than half mile into the hike. Mt. 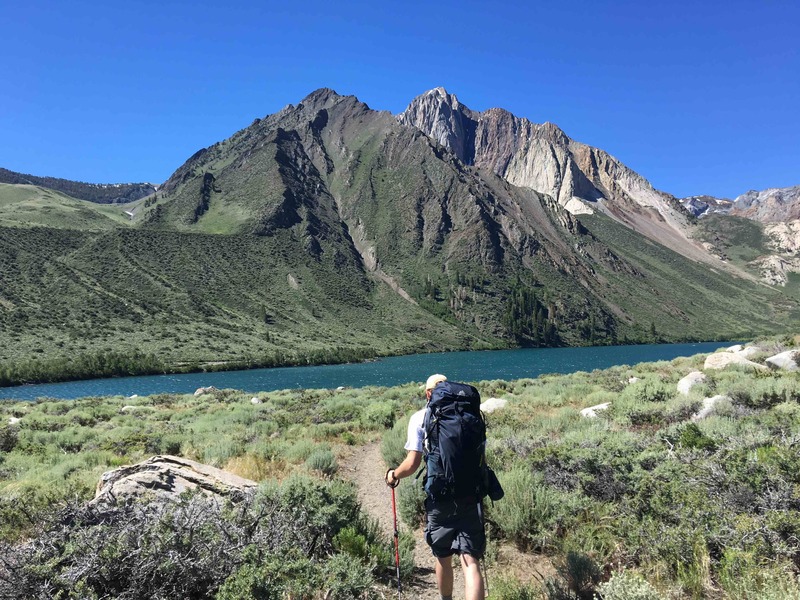 Morrison and Convict Lake ahead. The approach starts with beautiful scenery. Views of other great mountains Mt. Morrison and Laurel Mountain as you head up Convict Canyon. 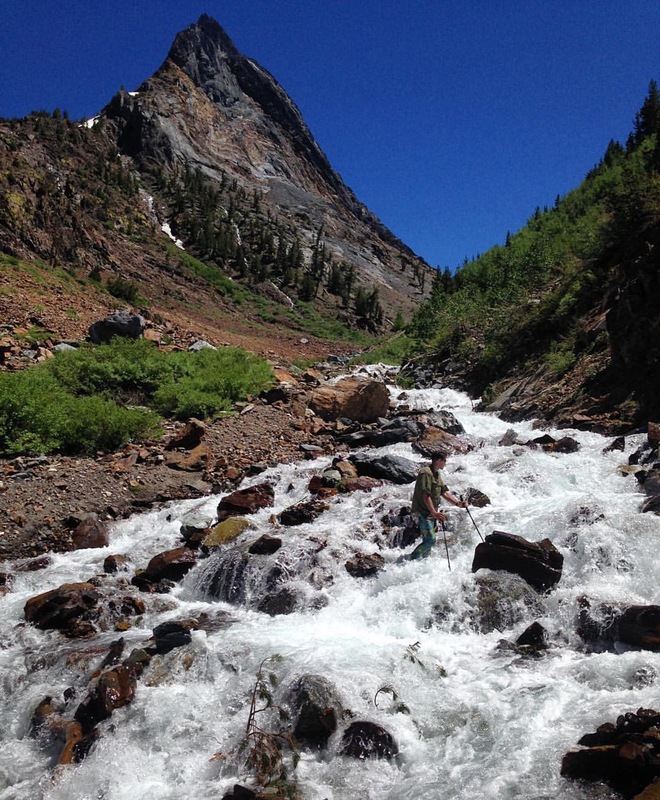 You spend your time along a rushing river the whole way up to Mildred Lake. At around 4 miles in you can see the trail do a little zig-zag on my TOPO map route. This is where the two stream crossing happen by a washed out bridge. The water was moving really quickly given the high snow fall this year and we spent two hours trying to find a good crossing and figure out whether we wanted to attempt crossing or do something else. 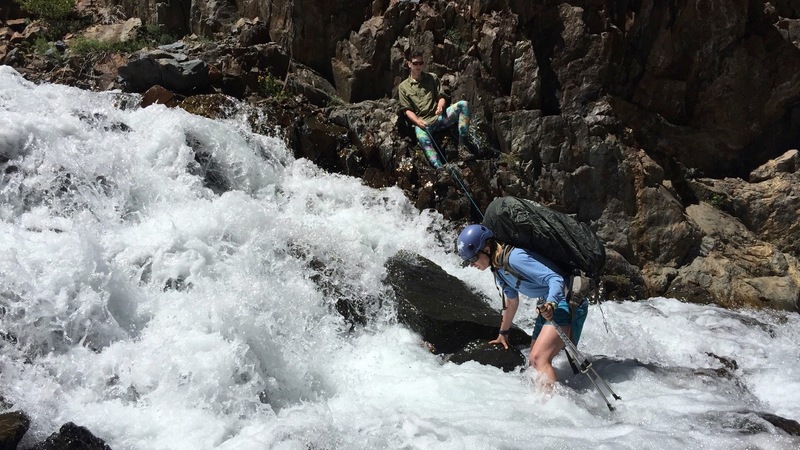 Eventually we agreed to try crossing without a pack and on a hip belay since each of us were not experienced with river crossings. Eventually we all crossed with packs to the other side only to be presented with another immediate river crossing of even deeper water. Being a large person (6’6″, 200 lbs) I was able to find a couple places near the trail to cross but it was pretty risky. Especially since we did this without hip belay since we felt more confident after the first crossing. The water got deep enough to sweep my feet down against my foot holds. I had to use a lot of strength to get through a near 3 ft deep section. So glad I read this piece on river crossings before this trip. Spending another 1.5-2 hours we were able to find another couple spots further up stream (map) to cross that offered good crossings for people who were more ‘averagely sized’. 😛 However, even though we thought the crossings were better we weren’t 100% confident in everyone crossing there, also the trail didn’t look super developed on the left side. So we stuck on the right side. Big mistake. 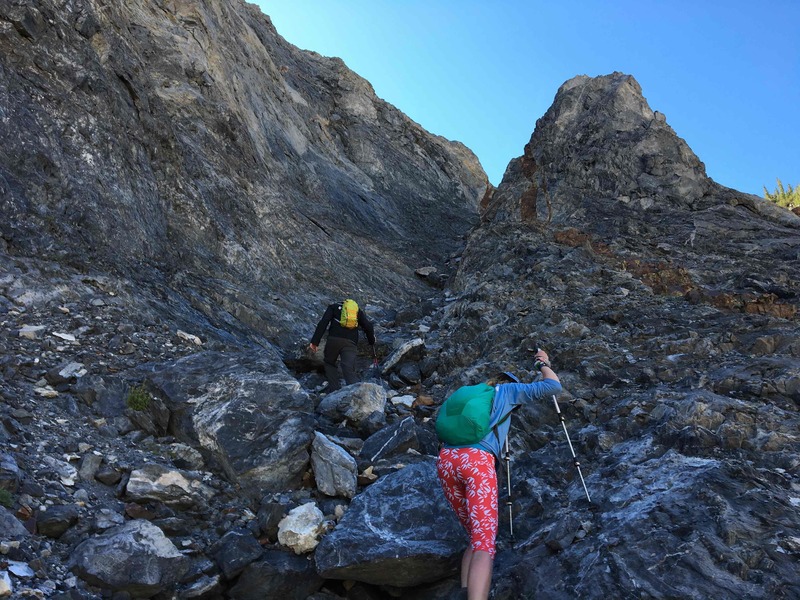 We spent the next 3-4 hours traversing up scree off-trail. Having to up-climb around a section where a wall of rock blocked walking alongside the river (map). Eventually we had to cross the river at the base of the last climb up to Mildred Lake where it was pretty decent. Arriving to a beautiful Mildred Lake Basin (9,800′) at around 7pm. Happy to eat, be out of the sun and be done with scree. Mildred Lake Basin. Just over a small hill from where we camped. Red Slate Mountain (center) still has a lot of snow on it. We had a relaxed wake up time the next morning, rolling out of camp around 9am. The night before we had decided not to do the back of Red Slate since it looked like it involved a lot of steep snow (we always weren’t planning on the 4th class Couloir route). 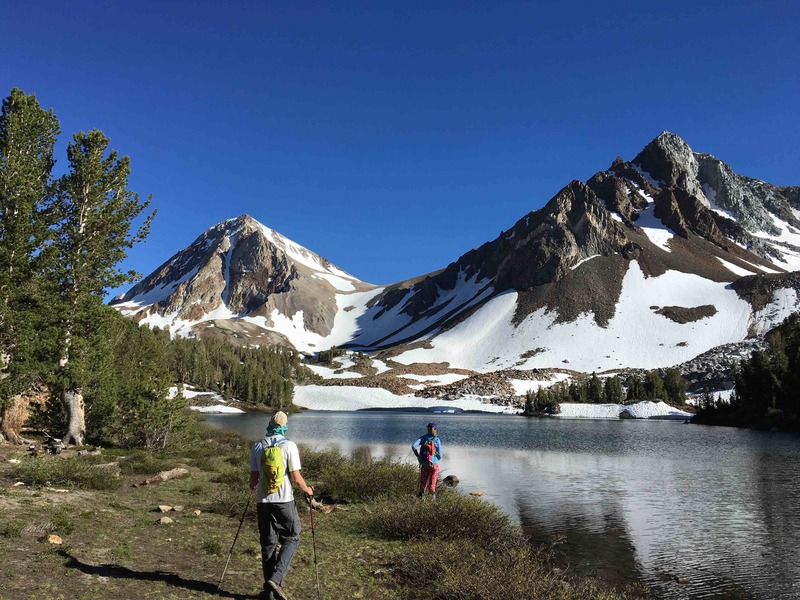 I expected almost all snow to be gone from these mountains given how hot the Eastern Sierra can get, but I was wrong. Being without an ice axe I felt it was inevitable we would turn around for safety reasons. That left us going up Baldwin of which I had very little beta. 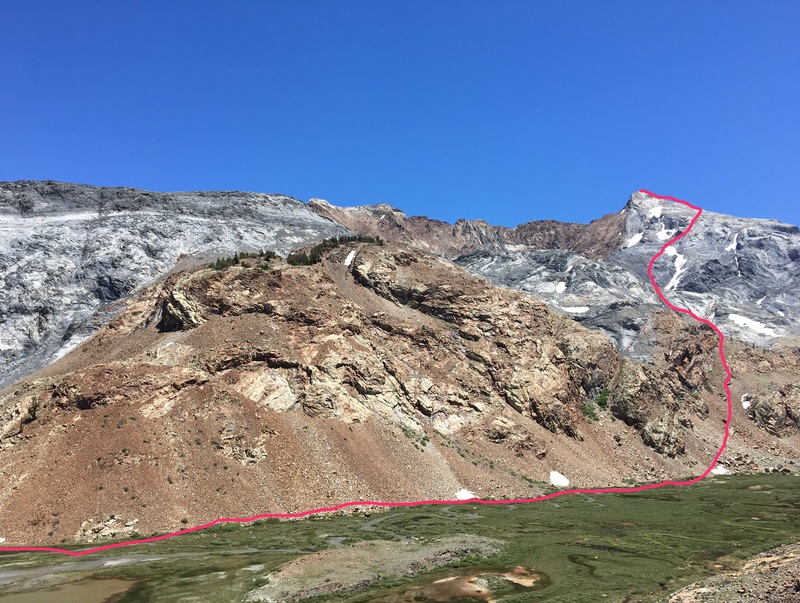 I felt the summit post for it wasn’t very clear so I mapped out a route that was direct, but took the least steep approaches from Mildred Lake up 1000′ to Bright Dot. After reaching Bright Dot the plan was to ride a fairly level TOPO line until ascending the Baldwin ridge. 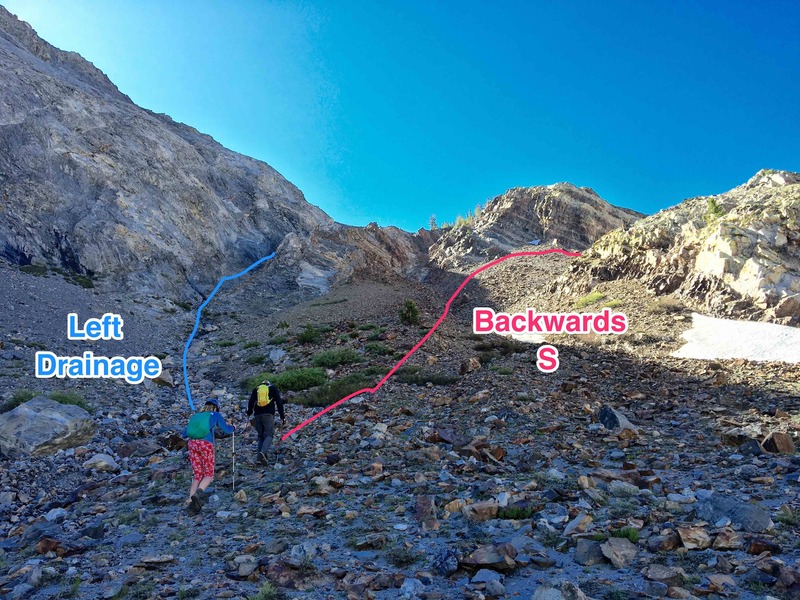 These direct routes included a grey drainage (left) and traversing a backwards S through red scree. The backwards S looked to be less steep, but more of a hassle while the grey drainage looked to have firmer terrain but a little steeper. The grey drainage looked better and better as we ascended so we took that. There was water, but very little in the early morning. Hiking up the left most gray drainage. Everything was going good until we reached a small 3rd class section that required a technical rock climbing move. When the first person went up they accidentally let loose some scree which covered the top of the 3rd class section. This debris funneled down into our drainage right towards the two people in it (including me). We were able to position ourselves in some pretty good spots while the leader finished their ascent but I didn’t predict that one fist sized piece of rock would not funnel down the drainage, but would bounce off a slab perpendicular to where I was standing “out of the way” and just nail my right calf. It felt like someone punching my calf muscle as hard as they possibly could. The leg was painful, tight and left no bruise but caused a 7 inch long curved bloody abrasion/cut and a 5 inch diameter swollen section. Luckily my leg was was still usable. The drainage forked into two more technical sections each containing short Class 3 climbing. 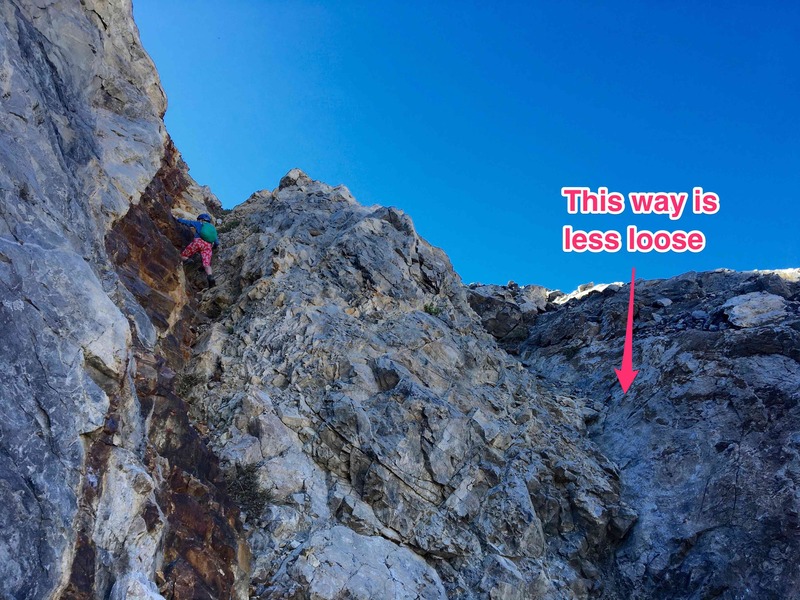 The left had scree on top after this move, but the right while requiring a little more climbing had much more solid holds. This 3rd class stuff wasn’t for everyone so we negotiated better waiting points that were out of the debris fall zone and communicated between everyone (including leader above) for a safe decent. Three hours after leaving camp we were returned. It was mid-day meaning we wouldn’t have another chance at another route today. 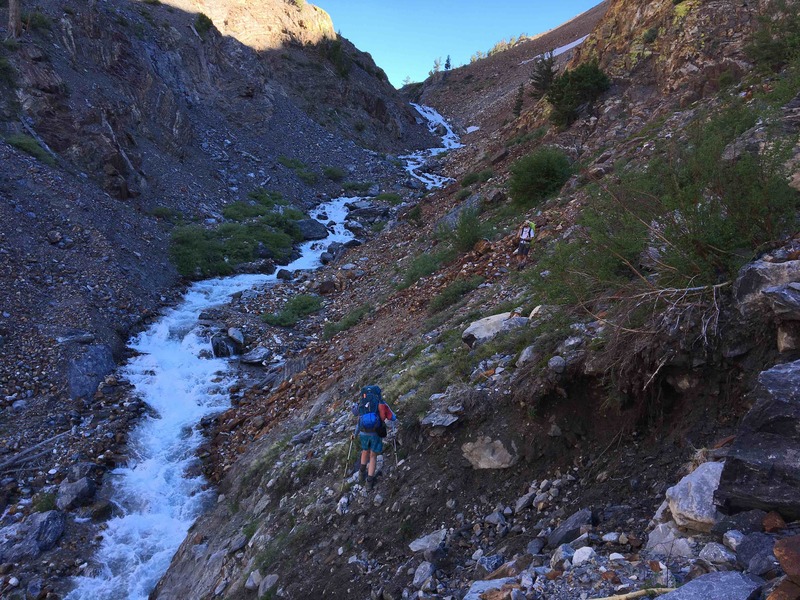 Also, given that rivers swell from melt water mid-day and our difficulties on the way up…we would leave early the next morning rather than partake in another summit bid. This meant we would have no mountain summit this trip and was a bit disappointing, but the right call given everyone’s comfort level. Arriving at Dorthy Lake. Red Slate Mountain on left. After some food and water we decided to go up to the massive alpine ocean of Dorthy Lake. The rest of the day was spent jumping into Dorthy, laying out in shade during the heat of the day, breaking a birthday piñata and hiking up to Bighorn lake for some great views of Baldwin. 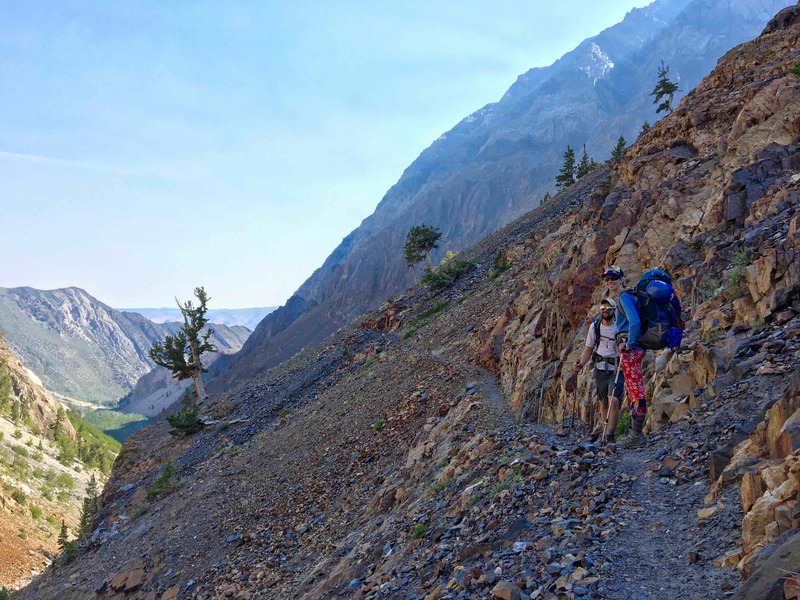 By Bighorn we were able to see that the route to Baldwin was mostly slab and would have therefore been much more enjoyable than the slab climb Red Slate would have yielded. I think this is the route summit post suggested which should have been mostly Class 2. I mis-remembered summit post suggested heading much further into the basin before heading up towards Bright Dot Lake when choosing the more direct approach. By Dorthy we also saw the only other backpacker of the trip. It was unbelievable to have such beauty to ourselves on our whole adventure. This night ended watching the stars come alive from the hammock and learning about them via an iOS Astrology app. 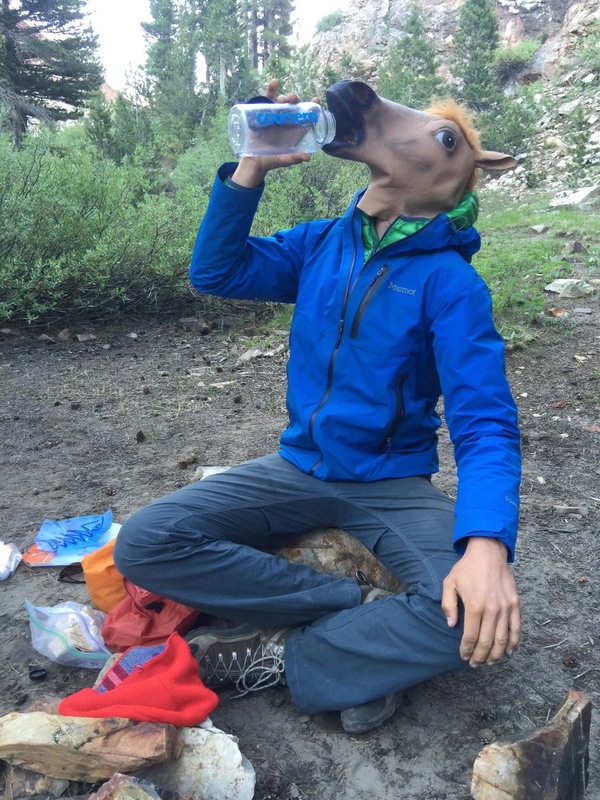 Horsing around at camp before hiking out. The final morning we had another relaxed start kicking out of camp around 9am after some horsing around. This time we descended down the trail side. Given we knew the river crossings and were now on trail the whole time we were able to make it to trail head in just three hours. It was a beautiful trip and had I seen this map from the summit post description we probably would have summited Baldwin. It was awesome to get some beta on Laurel and Mt. Morrison which I may come back to climb. Also, its hard to beat great company in beautiful places and bonding over adventure. 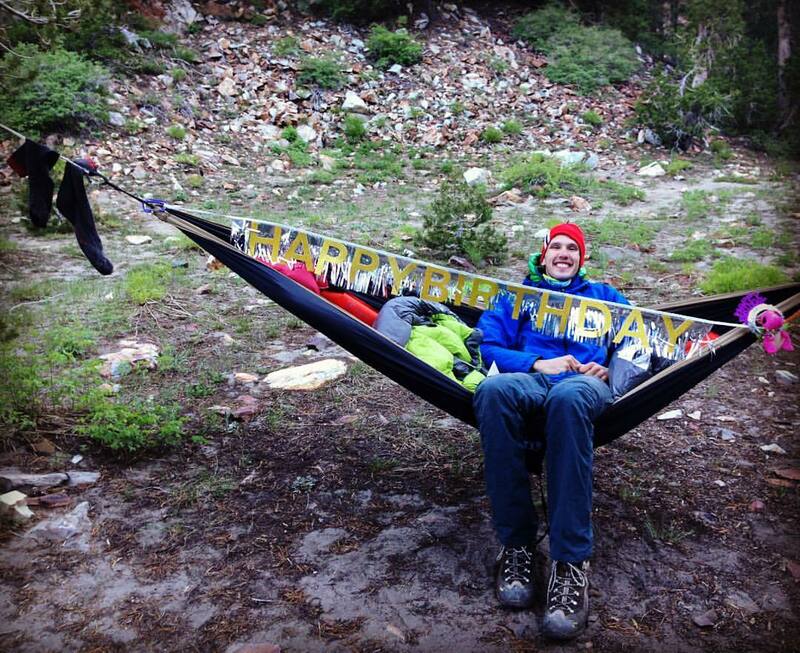 See more photos of shenanigans, the trip and beta on the Baldwin route.